Processing some past images, I reset this to the original WB and slid the blue back a tad...(in the past am guilty of adding warmth, but am thinking now, that's not the right way to go....Thanks to Marc for a head's up on reducing Blues.... ). This is pretty close to what was seen... and has the benefit of me not fiddling. Main areas for improvement being micro contrast, sharpening. I hope looking at it with glasses at about 12" it's about right for the internet, but sometimes easy to over do. However, this dude was so scarred, at least my Tiff now shows it. D300. 500 F4 at 1/500 5.6. ISO 400. i'll show the original post to show the changes my evolution., for good or bad has come to. Regardless, I sort of feel I've got the detail I saw way back. Last edited by david fletcher on Sat Feb 09, 2019 4:10 pm, edited 2 times in total. as promised. Original post so we can see the differences with processing, etc.. (one limitation being size as what was permissible then has changed). Dave, the detail in the newly processed image is excellent, and I can very easily see the scars you referred to. Of the two, I prefer the white balance in newly processed version. That is one mean looking dude. The detail adds to the (rough) character of (in) this image. 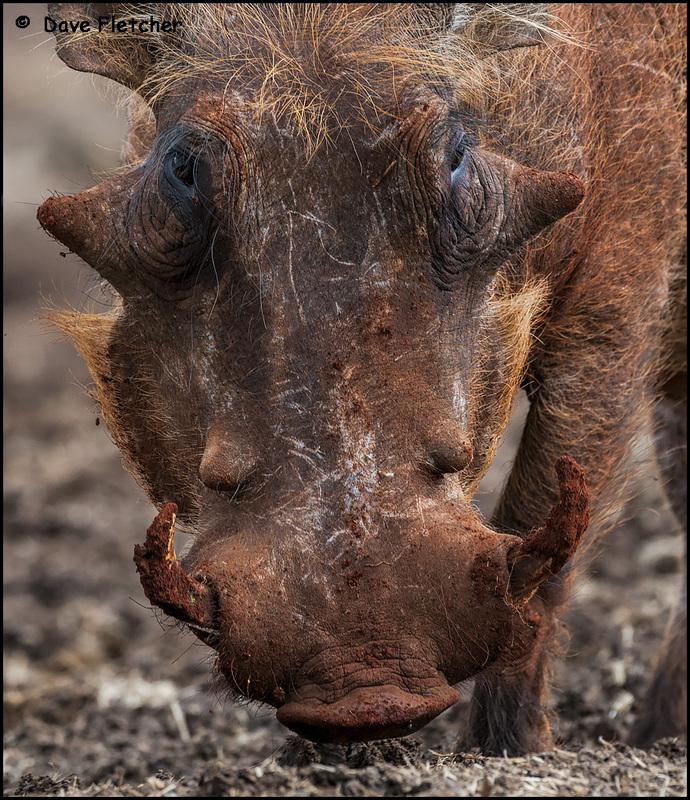 When you can clearly see such intimate detail as the individual hairs and bristles on this wonderful face, Dave, I would say you got it exactly right! The colour tones look spot on for a warty after rooting in red clay earth too. Excellent! Can you spell DETAIL!! I love this beauty. Yes, turning the blues down is a nice way to go. I, too, tend to make things too warm. 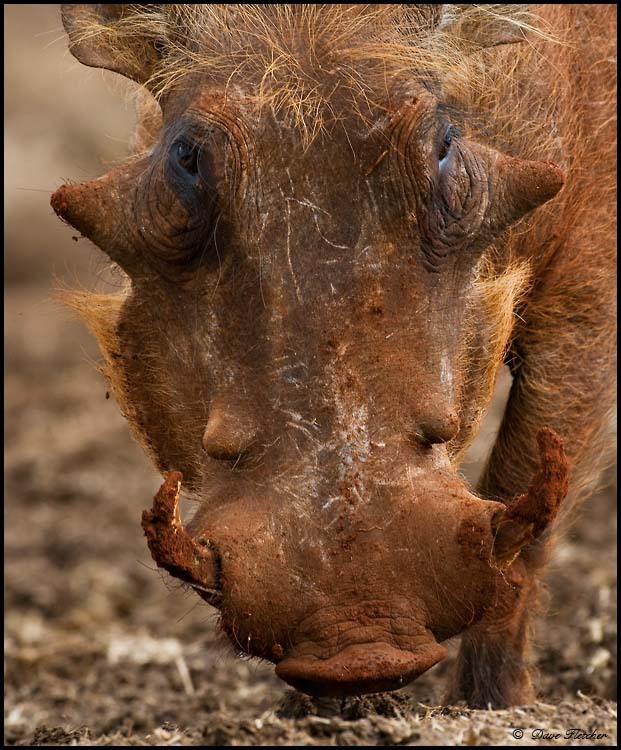 While warthogs seem funny looking to us, I'll bet we look funny to them.